I completely agree! We are a society of consumers and we seem to always look for the “next best thing”. But when that product yields poor results or consequently hurts our environment, we toss. And I completely agree with you that we need to do better research on our products, from production line to landing on the shelves for our customers. And for the existing products that yield half successful results, we need to find alternative uses for them so that they don’t end up in the landfill after failed attempts. I like that this article points out that microfiber isn’t a perfect solution. BUT, the reality is…*nothing* is! Even natural sources have their drawbacks and ill effects on our environment. The problem is more in our compulsive need to throw away things that don’t look pretty anymore. If properly cared for, microfiber cloths last for many years. When they get worn, *find another use for them! * Use them as packing material instead of Styrofoam or paper. Cut them up, tie them into a ball, use them as scented oil sachets to keep clothes and linens fresh. They’re still great for washing the car, cleaning off dirty pet feet, turn them into polishing jewelry pouches….get creative! They are by no means the perfect environmental solution, but the words reduce, re-use and recycle apply perfectly here. Thanks for sharing. They are not my favorite thing to use but throwing them out is definitely not an option now. Stock pics aren’t only harmful if you can make use of them in the proper way. They can add more visually fascinating and powerful content to your creating. They take out many of the design and style or outsourced photography you might like to assemble into your financial budget. They could be pretty fast visual content solutions without difficulty. And even better, all our stock photos are 100 cost-free – assess us out and post a lot more legitimate content in the future. You’re encouraged! I completely agree! All products that get reused and washed need to be cared for and the filtering system for these products need to be advanced or the core materials of our products need to be more naturally sourced. You make a great point! This is why it is so important to properly care for your microfiber cleaning tools. Mops, cloths and dusters can all be re-used over and over again if they are cleaned properly. If not, they become useless. Yes, I agree, the ongoing dilemma of “getting rid of” versus “using up and then getting rid of” is always an issue once we find out more about the products we use. It’s unfortunate when that issue comes up because it feels like a lose-lose situation. Just purchase more organic materials and I think you’ll be on your way. I have a few friends that use these – I will be sure to forward this post on to them so they can research it more! I haven’t learned much about microplastics but I wonder how much my regular clothes are releasing these as well. Thanks for bringing to my attention again! The debate between using up less than ideal products or purchasing new ones that are more environmentally friendly is a hard one. We have a few microfiber cloths and they do work well, but I don’t think I’ll be purchasing any new ones. We just finally used up the last of our paper towels so I’ll be looking for something! This is so thought provoking. I’ve been promoting microfiber cloths for years, simply because mine have lasted over 10 years and I’m still using them. So I thought they were a good ‘zero waste’ alternative. 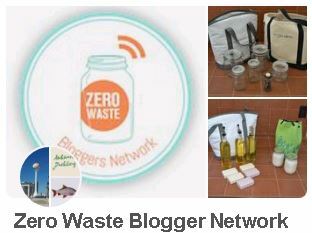 It’s amazing that as you go further into your zero waste journey you learn more and more. Thank you for educating me about this – it’s worrying to think they are possibly contributing to microplastic pollution. I feel the same way about CFL light bulbs that were supposed to save tonnes of energy, YET they contain mercury and are potentially polluting the atmosphere. It’s not easy to make informed choices is it? !